Actor Lee Min Ho shared the behind the scenes of the kiss performance with Chinese actress Fan Bingbing. 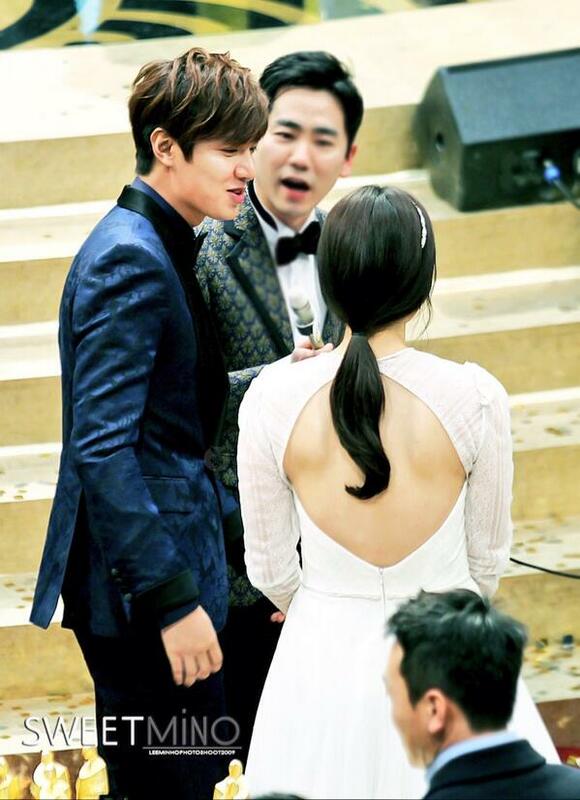 Lee Min Ho at the Baidu Fei Dian Awards Ceremony in Beijing, China, which took place on Sunday, December 22, 2013, posed to kiss Chinese top star Fan Bing Bing, and attracted a lot of attention of the Chinese, Korean, and international fans. 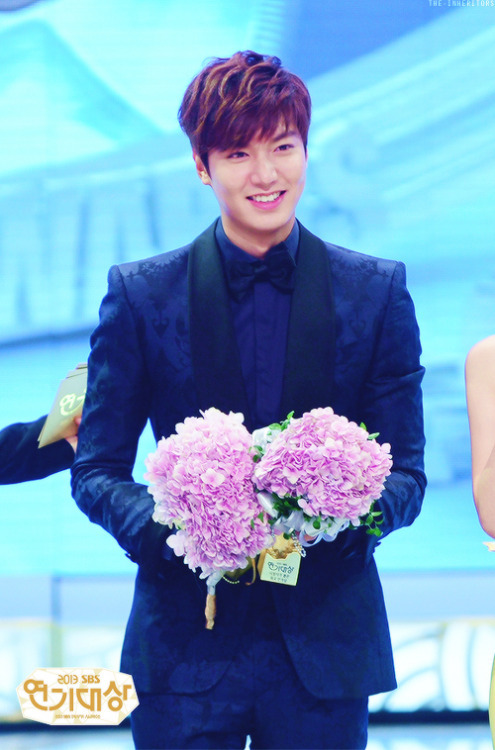 At the ceremony, Fan Bingbing, the host of the ceremony, gave Lee Min Ho an award. After the award ceremony, another host asked Lee Min Ho and Fan Bing Bing for a couple pose, and Fan Bing Bing and Lee Min Ho put their faces together and hid their faces behind the doll, as if they were kissing, making the fans shout in jealousy. Lee Min Ho in a recent interview revealed that, the kiss performance with Fan Bingbing was not scripted. Here’s the actress with other Heirs stars. Aww, she’s so beautiful. And lucky. 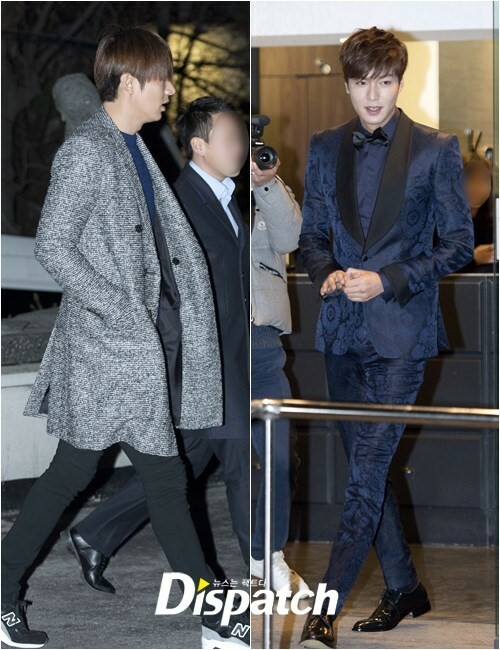 Lee Min Ho before and after the red carpet! 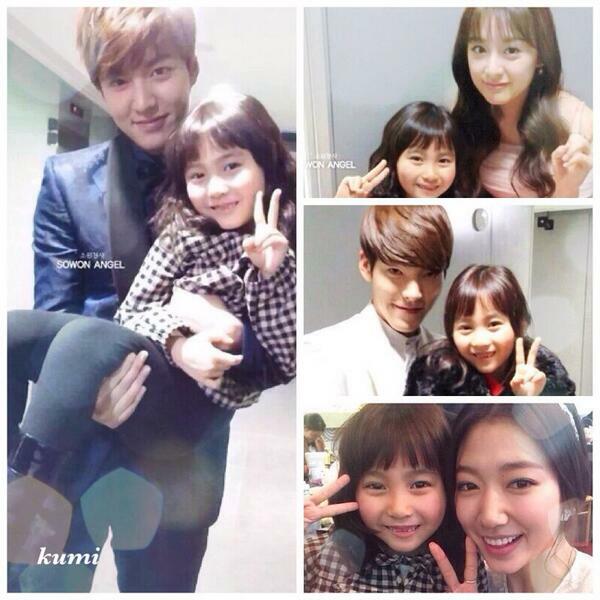 Just like what is said by ‘Kim Tan’, there was no such thing as in-between. 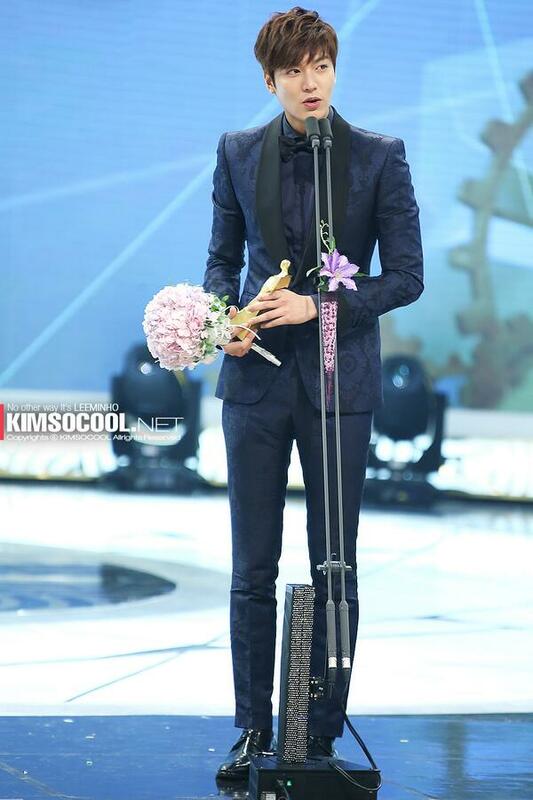 Just like the inheritor with long legs and a tall height, he got the ‘Best Dresser’ award. He even confidently defeated So Ji Sup, Jo In Sung, Lee Jong Suk and Kim Woo Bin, who are known as outstanding in the world of fashion. Was it because he was too happy? He sent a greeting of gratitude in 5 languages for the first time since ‘SBS Drama Acting Awards’ began in 1993. 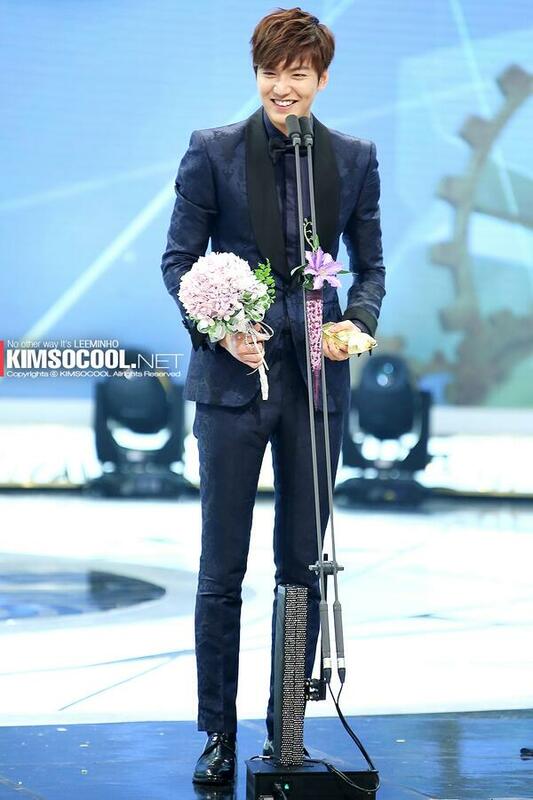 He expressed the joy of getting the award in Korean, Chinese, Japanese, Thai and English. Wouldn’t be the minds of fans who heard his thoughts be like this? The best dresser was something that is not that easy. We will go back in time temporarily to December 31st at 6pm to one of the hair shops in Gangnam-gu, Seoul. 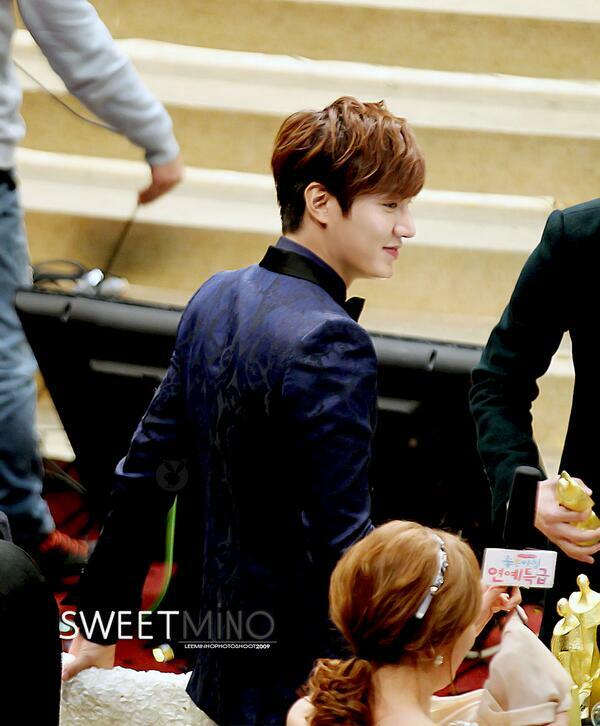 Lee Min Ho was busy making himself look nice before SBS-TV ‘2013 Drama Acting Awards’. The transformation of a man is also not guilt. Lee Min Ho who got off the car was literally raw Lee Min Ho. He appeared in front of the hair shop with a hair that is not dried thoroughly and with his natural face. 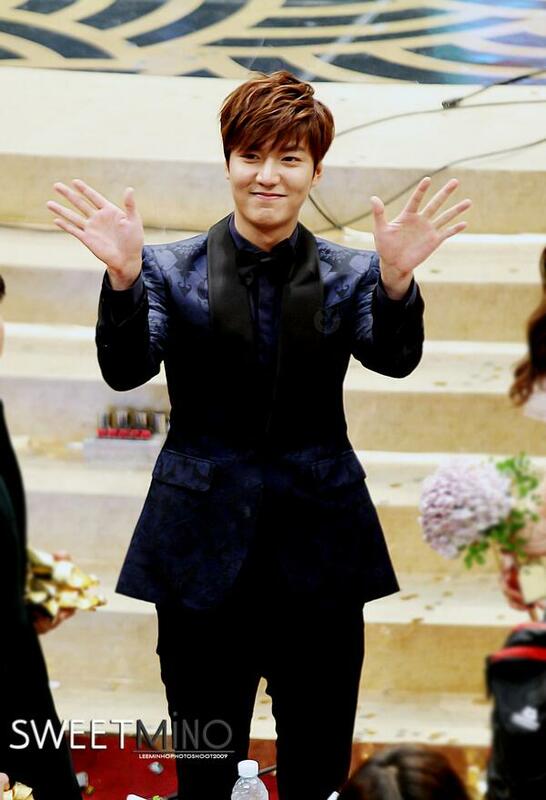 Someone who greets that Lee Min Ho was neither a cashier nor the designer. 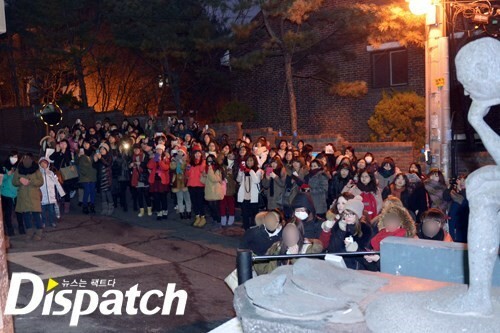 It was the fans who came from all of the regions of Korea, China and Japan. His popularity was almost like that of idol groups. 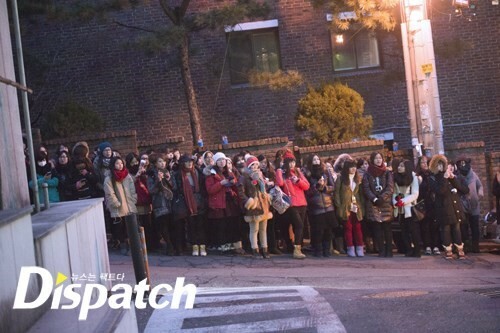 The fans have been waiting for Lee Min Ho in one single line. There were various kinds of cameras in their hands. 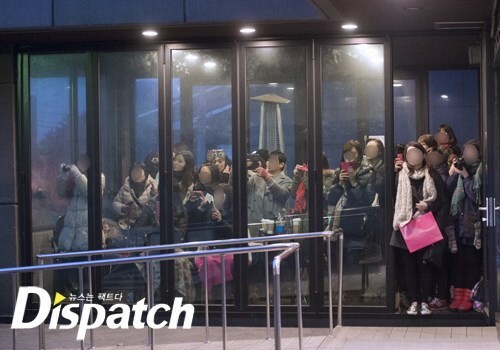 Even a ‘cannon’ in which only the fans of idol groups use was also accompanied. They observed everything in the eyes of a hawk to catch the best moments. The word that describes Lee Min Ho on this day is natural chic. He matched a blue knit sweater with black pants. To this, he put on a long coat. He emphasized the convenience by wearing a sneaker. Just like ‘the inheritor with long legs and a tall height’, he pulled off casual outfit in a chic way. His shining skin was a bonus. He even shined from far away. He showed his flawless skin as he is a cosmetics model. His hair style that looked like it was not thoroughly dried was also impressive. His front hair was covering the eyes, but even then, there was no humiliation. Finally, the door of the hair shop opened. You could tell just by looking at the outstanding long legs and height, right? 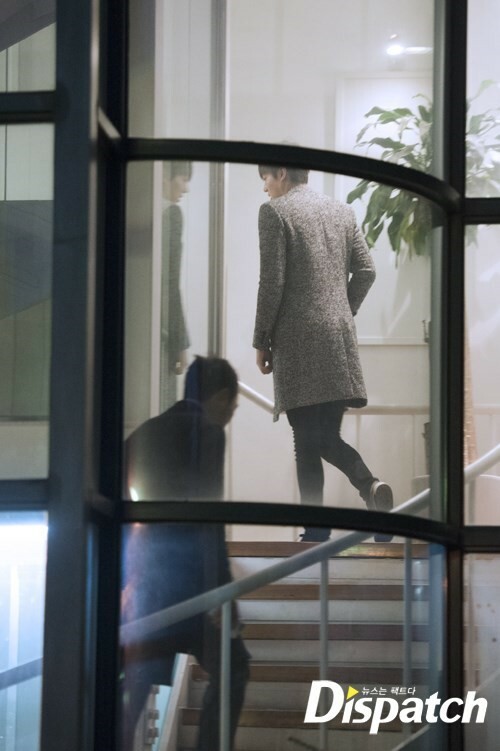 Lee Min Ho, who changed completely, appeared. His natural side that we saw an hour ago was gone. Instead, he reenacted Kim Tan style with a luxurious suit. 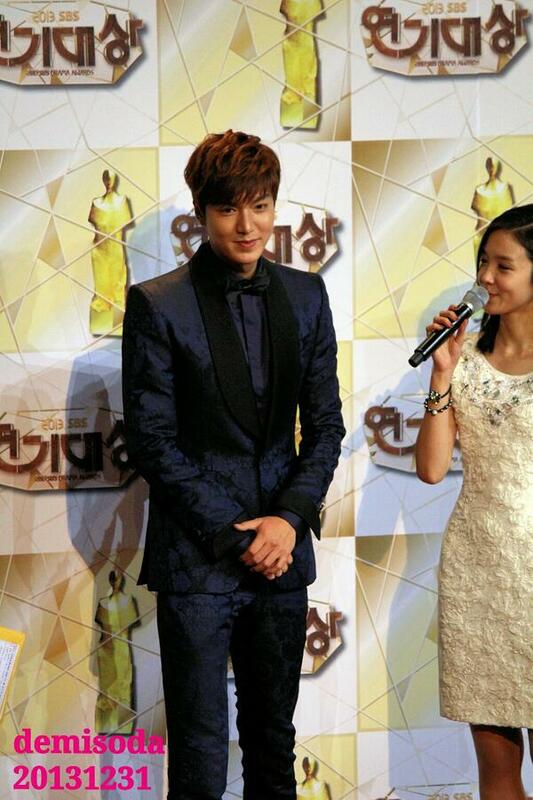 Now then, we will take a look at Lee Min Ho’s red carpet look in detail. 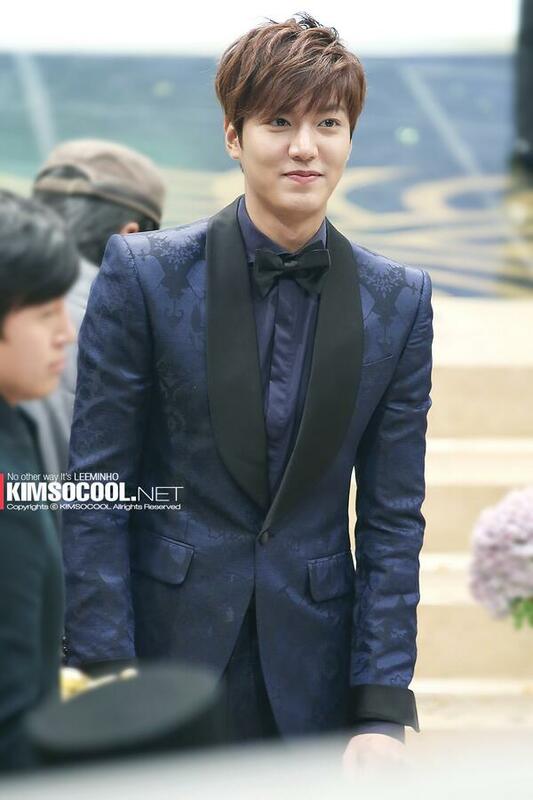 On this day, Lee Min Ho wore a navy Tuxedo by ‘Lord and Taylor’. It was a style in which the oriental pattern has been added. To this, he highlighted the outfit with a bow tie that has the same color as the suit. It was luxurious overall. We took a time to ask his stylist the concept of this day. 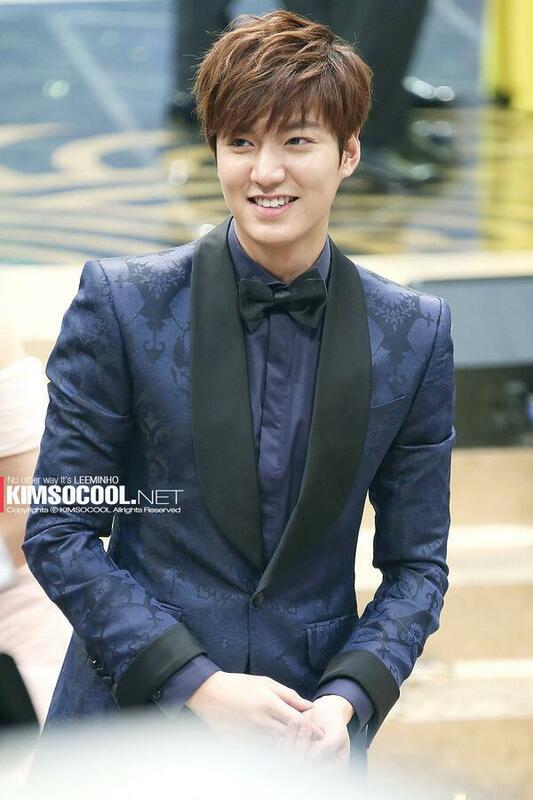 “The style of the suit that Lee Min Ho wore is a ‘noblesse mose look’. It was the style made by ‘Lord and Taylor’ for Lee Min Ho. We hoped to emphasize the atmosphere of a young gentleman by using jacquard silk material. 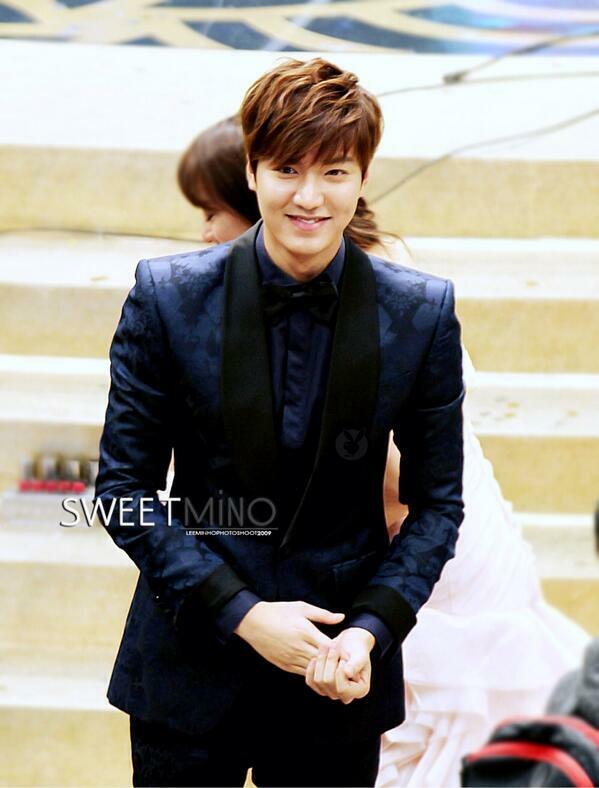 Of course, it is a suit that was able to be pulled off because he is Lee Min Ho. During then, the fans have increased as twice as much. When hearing the rumor that Lee Min Ho went into the hair shop, even the residents in the nearby neighborhood have gathered. No wonder it is worth to be called ‘Lee Min Ho syndrome’. The fans were so crowded that even the cars found it hard to pass through. 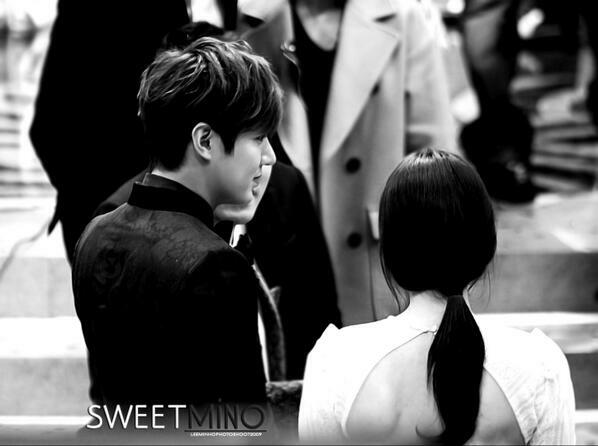 And still kind Min Ho. He did not simply pass by the fans. Before getting on the car, he greeted the fans waving two hands. He greeted the fans switching to front, back and right directions. 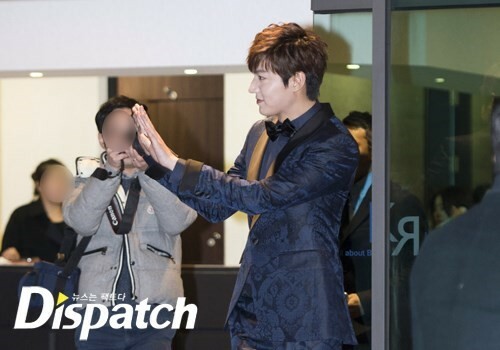 With the hand greeting of Lee Min Ho, fans sent a storm of shouts and cheers. 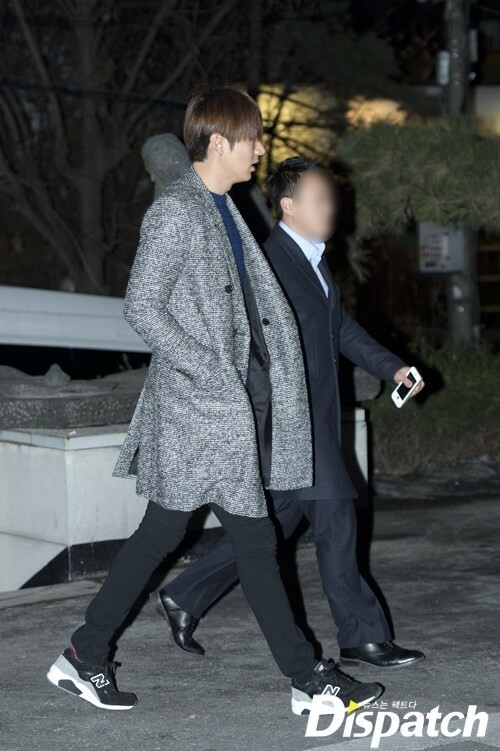 Lee Min Ho has finally arrived at SBS Prism Tower in Sangam-dong. He stepped into the red carpet with a privilege as a main character. 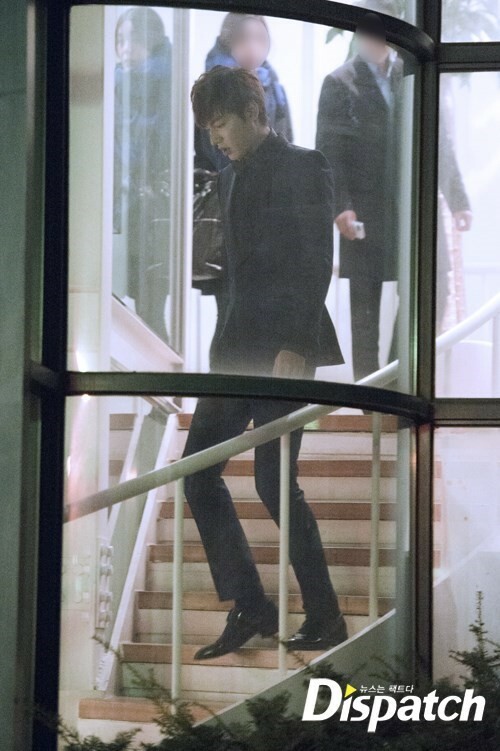 There was feeling of relaxation overflowing even when he is stepping on the red carpet in a long time. 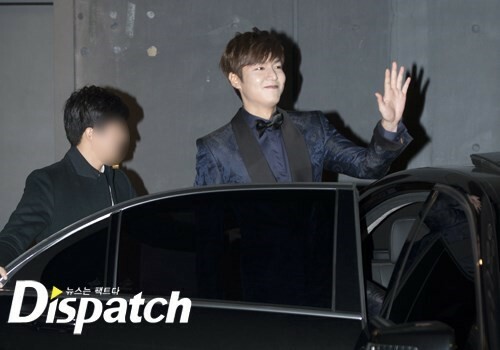 The fans could not take eyes off the good looks of Lee Min Ho. Even when looking again, ‘Kim Tan’ Lee Min Ho is feels like ‘Kim Tan’ and let’s take a time to look at SBS Drama Acting Awards red carpet. And the results of the award? Including, the best dresser award, he got 5 awards. The top 10 star awards, best couple awards, the best popularity awards and the best acting award of the novel drama. Just like the hottest trend, he highlighted the finale. 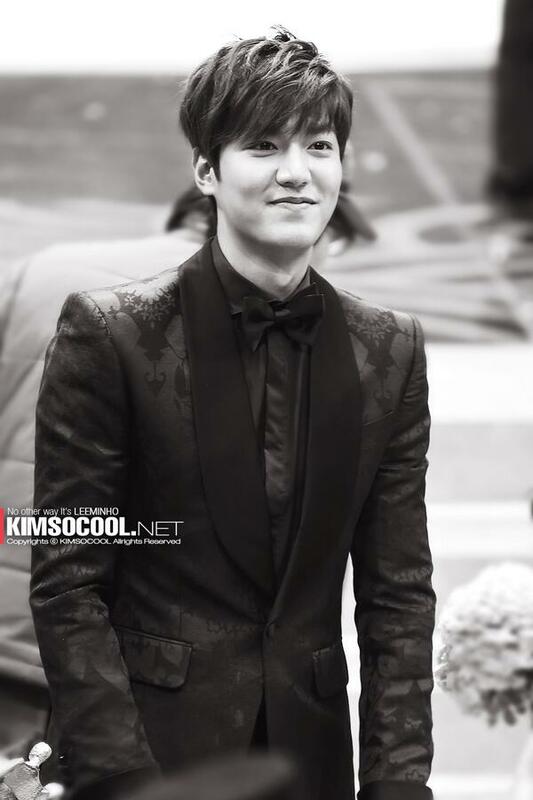 Lee Min Ho is also looked forward to in year 2014. For his next work, he is confirmed to show up on the director Yoo Ha’s ‘Land gate, Gangnam 1970’. It is said that through this work, he will show portraying delicate emotion and will be acting the high level action. We hope you become the hottest trend actor in movies also. Lee Min Ho recently won the male high excellence award for his performance in “The Heirs” at the “2013 SBS Drama Awards” hosted by Lee Bo Young, Lee Hwi Jae, and Kim Woo Bin. Lee Min Ho had won the male high excellence award at the “SBS Drama Awards” for the past two years, in 2011 for “City Hunter,” and in 2012 for “Faith.” With his award this year, he has received his third male high excellence award three years running. The talented cast and crew of hit SBS dramas this year gathered at the 2013 SBS Drama Awards to celebrate another year of success and give recognition to those who particularly shone in the spotlight! Check out the full list of winners in the list below! Watch video cuts on SBSNOW1.